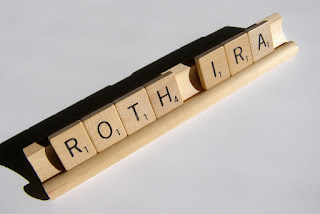 Traditional IRA vs. Roth IRA – Which is Better for You? Would you rather pay the taxes now or later? The individual retirement account is the most common — and most often misunderstood — retirement savings arrangement. The confusion usually stems from the fact that there are two different types of IRAs: a traditional IRA and a Roth IRA. Both types of retirement investments share a number of characteristics. And both IRA types offer individuals a dedicated, tax-favored account into which retirement money can be deposited. Within the IRA account may be any number and type of investment vehicles such as stocks, bonds, CDs or mutual funds. The total value of the investments within in an IRA grows on a tax-deferred basis once funds are in the retirement account. Annual contribution limits have been placed on IRAs by the Internal Revenue Service, as well as eligibility criteria and withdrawal restrictions. For the 2015 tax year, the aggregate total of all contributions to IRAs, regardless of whether those accounts are traditional, Roth, or a combination of both, cannot exceed the lesser of $5,500 or 100% of your earned income. Those 50 and older can save an extra $1,000. The traditional IRA structure was created in 1974 with the passage of the Employee Retirement Income Security Act, or ERISA. The act provided for tax-deductible contributions into designated accounts, which would grow without capital gains or income tax liability until the funds were withdrawn. In later years, the legislation was changed to allow for the creation of IRAs for non-working spouses, as well as increases in the contribution limits. Simply put, you may deposit up to $5,500 into an IRA in 2015, for which you will receive an income tax deduction, and that money will grow without additional tax liability until it is withdrawn. Funds within a traditional IRA cannot be withdrawn until the year the account owner reaches age 59-1/2. Any money withdrawn from a traditional IRA during retirement is considered income and fully taxable at the account owner’s current income tax rate. Additionally, withdrawals must commence by the year in which the account owner reaches age 70-1/2, called Required Minimum Distributions. Calculations are made and a formula applied, generating a figure which represents the smallest dollar amount that can be withdrawn each year. With the passage of the Taxpayer Relief Act of 1997, the Roth IRA was created. Alongside the traditional IRA, the Roth presents investors with an alternative account type for which to save retirement money. While the basic principles of the Roth IRA are the same as those of the traditional IRA, there are fundamental differences that offer a potentially significant advantage over a traditional IRA. Deposits into a Roth IRA are still limited to a maximum aggregate of $5,500 for 2015. However, these contributions do not result in an income tax deduction. Money still grows without additional tax liability, and withdrawals are prohibited until age 59-1/2, the same as in a traditional IRA. However, unlike a traditional IRA, distributions from a Roth IRA are not considered additional income and the amounts withdrawn do not increase the account owner’s tax liability. The primary difference between these two types of retirement accounts is the taxation of the growth. Taxes will be paid on contributions, regardless, but taxes on growth and interest earned can be avoided with the Roth IRA. Simply put, it’s a tradeoff. With a traditional IRA, current year’s earnings are deferred until retirement, and when that money is eventually withdrawn it is fully taxable, as is any growth. With a Roth IRA, on the other hand, current earnings are also earmarked for retirement, but income taxes on that money are not deferred. In exchange for paying those taxes now, and still deferring that income until retirement, any growth or earnings will not incur tax liability. The Roth IRA is especially attractive for younger investors, as the prospect of tax-free withdrawals in the future is enticing, particularly for individuals likely to be in a higher tax bracket when reaching retirement age. Additionally, since income taxes have already been paid on Roth IRA contributions, there is no Required Minimum Distribution provision forcing account owners to begin withdrawals, as is the case with traditional IRAs. For younger investors with the potential to find themselves in higher income tax brackets later in life, the Roth IRA offers a more advantageous opportunity to save for retirement. This is especially true when the sum total of the year’s contributions — when factored as an income tax deduction — would have minimal impact on the account owner’s tax liability for the current year. Will This Company Beat AMZN to Drone Deliveries?